Kabul: Heavy rocket attacks were carried out on the Afghanistan President Ashraf Ghani’s Presidential Palace while he was delivering a speech, on Tuesday. Although there were no casualties, the attacks near his official residence have created a sensation all over the world. 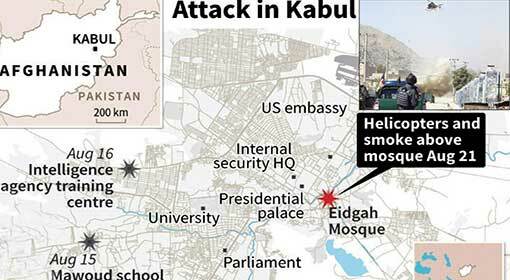 It is the third major attack on capital Kabul, out of the five attacks which were carried out within the last one week. Taliban is suspected to be responsible for the attacks. Rocket attacks were carried out in the high-security area of Kabul. As per the Afghan security agencies, the terrorists had launched 12 rocket attacks whereas; the residents are claiming that there were more than 20 rocket attacks. Along with the Presidential Palace of Ashraf Ghani, there were attacks near the NATO military base and the fencing of the US embassy. 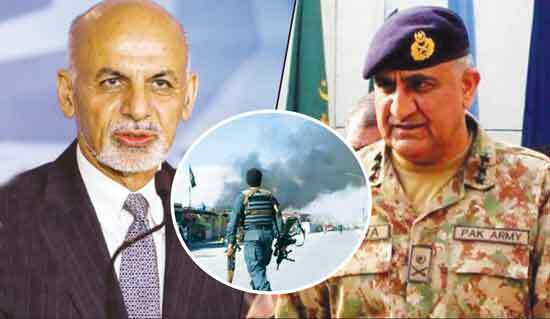 A conflict ensued between the Afghan security forces and the terrorists for some hours following the attacks. In view of this conflict, an Afghan military helicopter was hovering over the Presidential palace. No information was revealed about the conflict between the security forces and the terrorists. 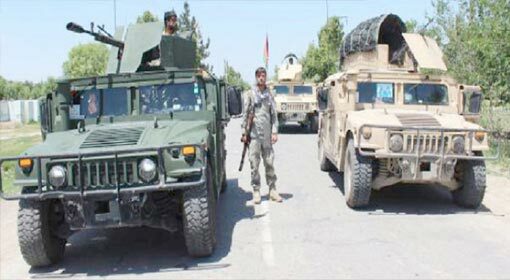 Although two civilians were injured in the conflict, there were no casualties, claimed the Afghan security and government agencies. 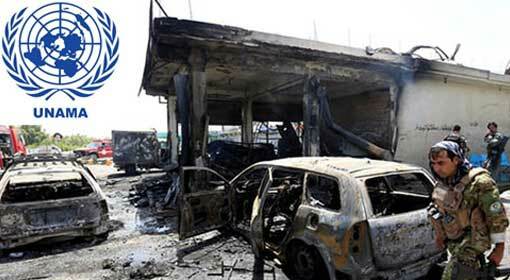 No organisation in Afghanistan has accepted the responsibility for the attacks. 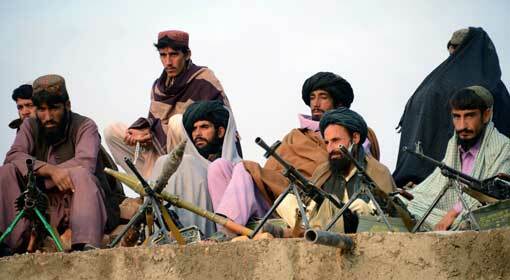 A few hours before the attack, the Taliban had spurned the ceasefire proposed by the Afghanistan President. Following that the Taliban had abducted three buses carrying students, women and soldiers. Even so, the Afghan military had rescued 157 people. However, 40 security officials are still feared to be in the Taliban’s custody. 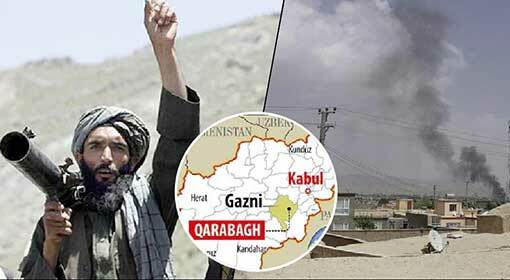 The Taliban attacks in Afghanistan have intensified in the last few days. The outfit has taken control of the Ghazni city in Afghanistan located near Kabul, where the conflict between the security forces and Taliban continues. With this ongoing conflict in Ghazni, last Thursday Taliban also attacked a school in Kabul. Immediately on the next day, the Taliban also carried out a suicide attack on the Afghanistan secret service office premises near the location of the previous day’s attacks. Meanwhile, President Ghani had proposed a ceasefire to the Taliban which was spurned by the terror outfit. 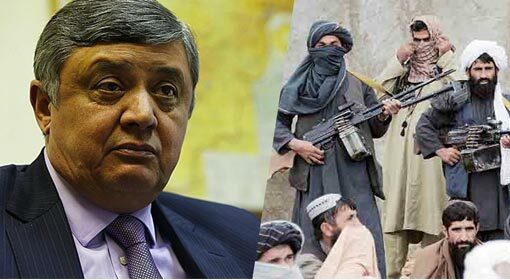 However, a Russian official has informed that the Taliban will be represented in the discussions organised at Russia.